Officially holiday season! Christmas and Hanukkah are approaching quick! So in spirit, a holiday themed treat. 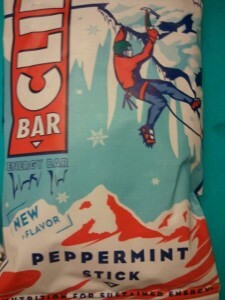 Clif Bar sent me their Peppermint Stick Clif Bar. 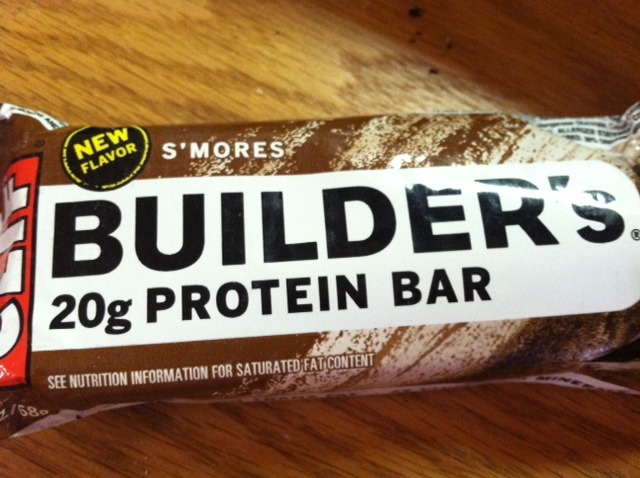 I happen to love these energy bars, so I was excited! But then some bites were different. Another bite had a very mild mint flavor and a bit of a white chocolate flavor. Hmm. I also saw streaks of red throughout the bar, not BIG streaks, but a mild red. I searched the ingredient list and saw peppermint candy, which not only explained the red but also the stronger peppermint flavors in some bites. 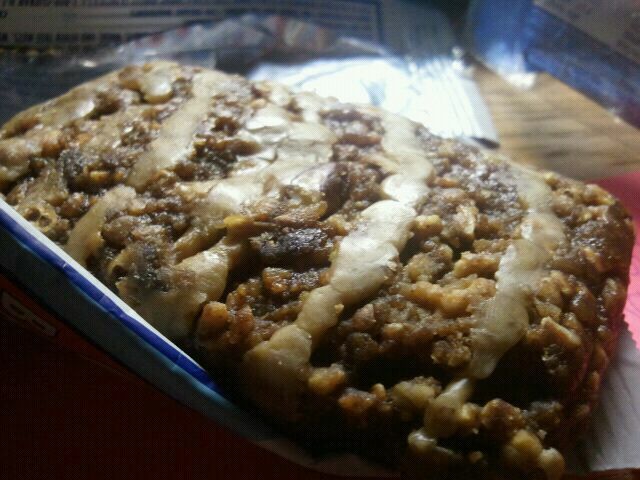 I normally go for energy bars early in the morning, when it’s too early for a full breakfast/I want to work out early. 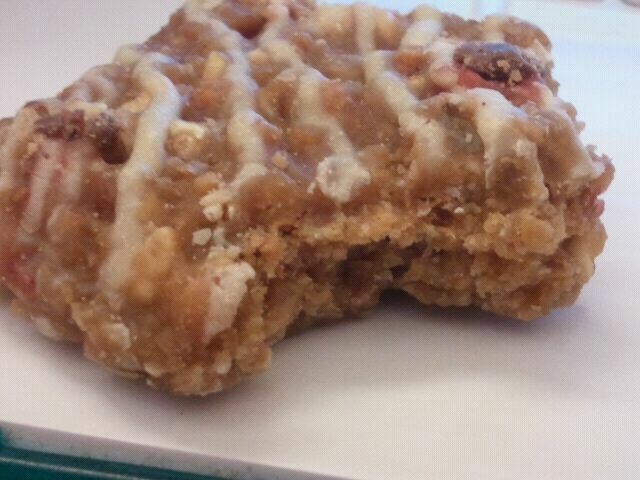 However, I took one bite of this and couldn’t do it. It was too strong for a morning tummy/ taste buds to handle (or at least mine anyway) so I ended up eating it later on in the day. 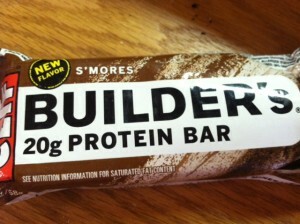 I got this bar for free, but I can’t say I would buy it again. I wasn’t really a fan, it was just ok. 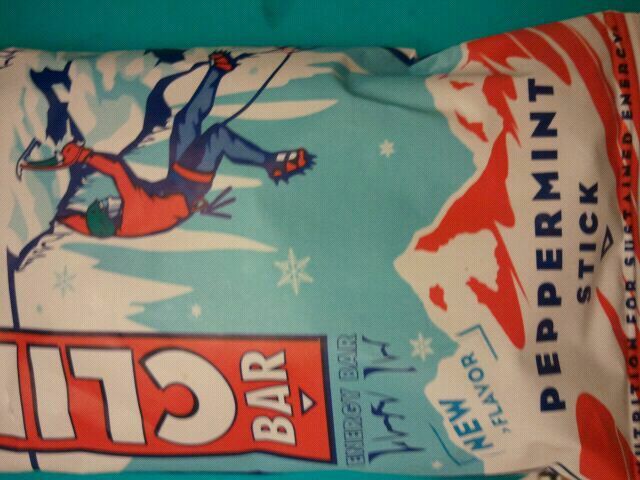 I like that it was seasonal and wintry with the peppermint, and I think it’s great if you really like peppermint. However, the only time I like minty things is when I brush my teeth or chew a piece of gum. This didn’t really work for me. Peppermint? Yay or nay? I would say I’m average- I do like York Peppermint Patties! But, I would much rather have some christmas cookies than a candy cane! 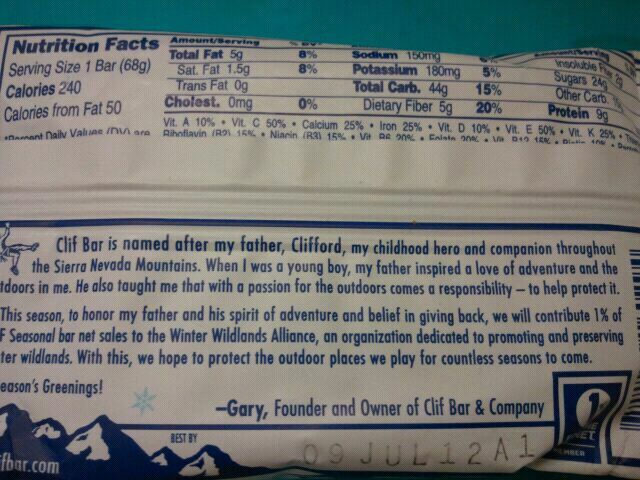 Clif Bar & Company is one of my favorite companies when it comes to making delicious bars. I happen to enjoy the Peanut Butter and White Chocolate Macadamia Nut flavors in the Clif Crunch, and the Chocolate Chip Energy Bar as well! 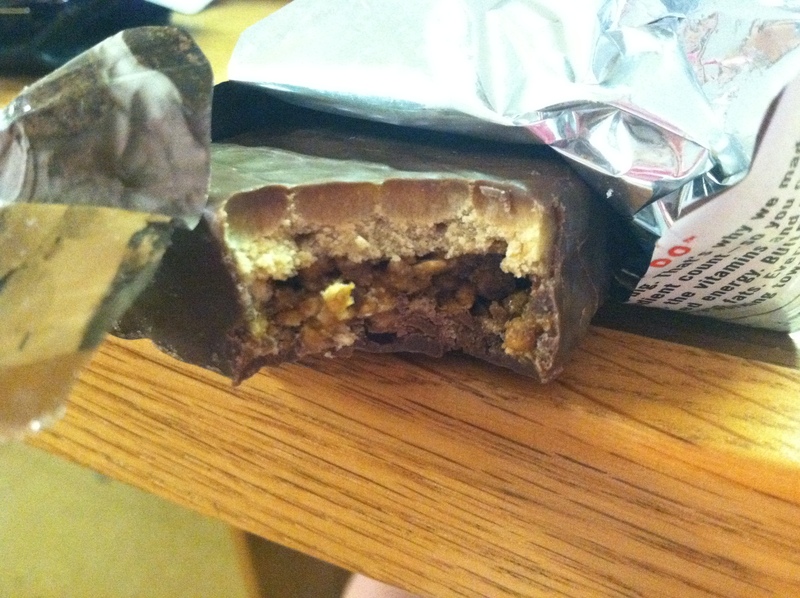 I opened up the package to find 2 bars, a little crumbly in consistency, but still held together for the most part. I took a bite and found a nice crispy/crunchy bar, with a very slight oily feel. There were scattered chocolate chips throughout, so I didn’t expect it to have a lot of chocolatey flavor. However- there really was a lot of chocolatey flavor! It was surprising, and in a good way. There also was a hint of vanilla flavor I detected as well. 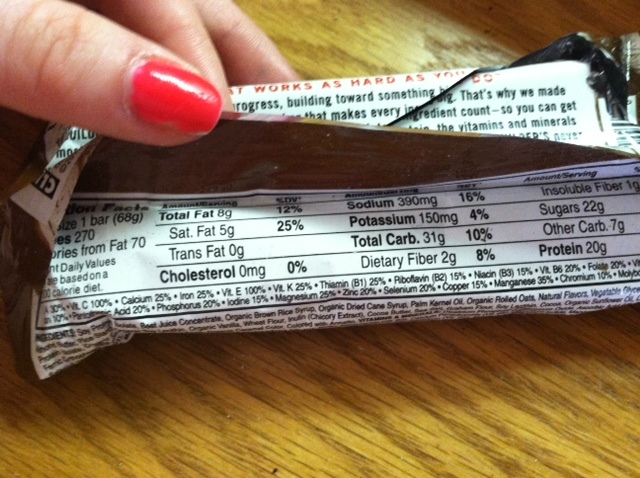 2 bars is 180 calories, 8 grams of fat, 27 grams of carbohydrates, 3 grams of fiber, 11 grams of sugar and 4 grams of protein. 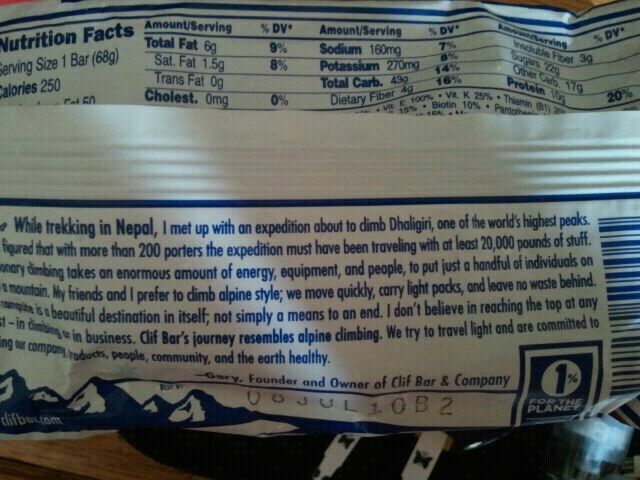 Have you ever had any product from Clif Bar & Company? Which one is your favorite? I was sent to try these bars for free. Regardless, my opinion is unaffected. Clif Bar & Company is one of my favorites- they make all natural and organic bars and products that help fuel the active lifestyle. 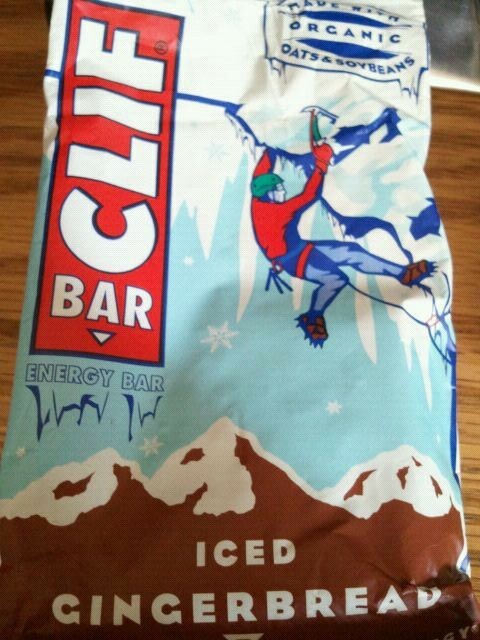 One of the things I eat before a workout is the Clif Bar energy bars. They come in a bunch of flavors in order to please a variety of people. You can view all the flavors on the website, here. 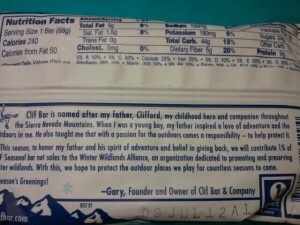 Anyway, Clif Bar and Company was nice enough to send me some of their energy bars, including some of the seasonal ones. I decided to write up about the Chocolate Chip, White Chocolate Macadamia Nut, and Spiced Pumpkin Pie varieties. These are ideal before a workout for me, as I find them to be easily digested and provide the energy I need to kickbox, run, or whatever! Each bar is about the size of an index card in length, and has a chewy, dense consistency. Overall, I loooove these bars! Although the downside is that they are a tad high in sugar per bar, it is good to energize you for a workout, or a meal on the go with some fruit or veggies. They are high in protein, fortified with vitamins and minerals, generally low in fat, and a good source of fiber per bar. They are also all natural and made with organic ingredients. 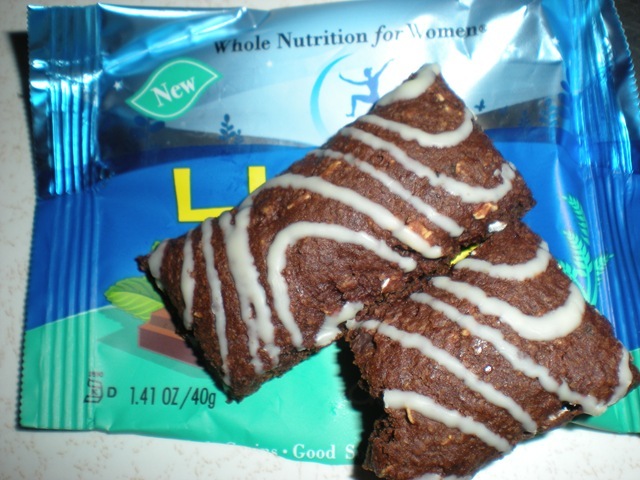 I would highly reccomend these for the active lifestyle, or if you just want a yummy treat! *Have you ever tried Clif bars? Which is your favorite? *Also, Don’t forget the Nana’s Cookie Company giveaway! 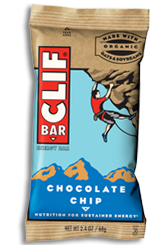 Chocolate Chip- 1 bar is 240 calories, 5 grams of fat, 44 carbohydrates, 5 grams of fiber, 22 grams of sugar, and 10 grams of protein. Organic Brown Rice Syrup, ClifPro® (Soy Rice Crisps [Soy Protein Isolate, Rice Flour, Barley Malt Extract], Organic Roasted Soybeans, Organic Soy Flour), Organic Rolled Oats, Chocolate Chips (Evaporated Cane Juice, Unsweetened Chocolate, Cocoa Butter, Soy Lecithin, Natural Flavors), Organic Evaporated Cane Juice, ClifCrunch® (Apple Fiber, Organic Oat Fiber, Organic Milled Flaxseed, Inulin [Chicory Extract], Psyllium), Organic Date Paste, Organic Soy Butter, Organic Sunflower Oil, Molasses Powder, Sea Salt, Natural Flavors, Cinnamon. White Chocolate Macadamia Nut- 1 bar is 240 calories, 7 grams of fat, 41 carbohydrates,4 grams of fiber, 21 grams of sugar, and 9 grams of protein. Organic Brown Rice Syrup, ClifPro® (Soy Rice Crisps [Soy Protein Isolate, Rice Flour, Barley Malt Extract], Organic Roasted Soybeans, Organic Soy Flour), Organic Rolled Oats, Soy White Chocolate (Organic Evaporated Cane Juice, Cocoa Butter, Soy Flour, Soy Lecithin, Natural Flavors), Organic Toasted Oats (Organic Oats, Organic Evaporated Cane Juice), Organic Evaporated Cane Juice, ClifCrunch® (Organic Oat Fiber, Inulin [Chicory Extract], Organic Milled Flaxseed, Organic Oat Bran, Psyllium), Macadamia Nuts, Organic Soy Butter, Organic Macadamia Nuts, Organic Date Paste, Natural Flavors, Sea Salt. Spiced Pumpkin Pie- 1 bar is 240 calories, 4.5 grams of fat, 45 carbohydrates, 4 grams of fiber, 25 grams of sugar, and 9 grams of protein. 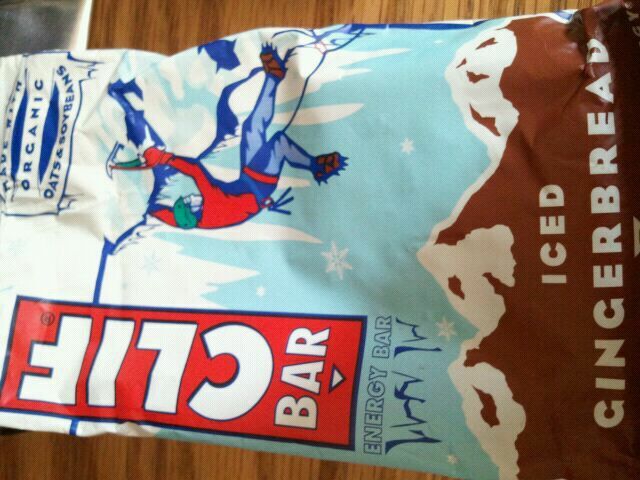 So, I decided to try the “kid version” of the Clif Bar. The company claims that is a wholesome bar with wholesome ingredients. No “junk”, or hydrogenated oils, preservatives, and artificial flavors or colors. They come in several flavors, chocolate chip, chocolate brownie, honey graham, spooky s’mores (my favorite-but only availble during Halloween. 🙁 ! !, peanut butter, blueberry, and apple cinnamon.